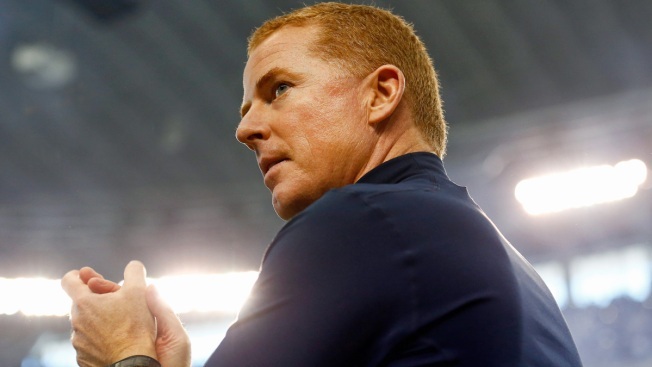 While we tap our feet waiting for next week’s start of training camp in Oxnard, California let’s review the Cowboys’ summer of, well, waiting. We waited to see if DeMarco Murray would get an attractive offer in free agency. After three days, he flew to the Eagles. We waited to see if Greg Hardy’s suspension appeal would be upheld and/or reduced. After seven weeks, it was both upheld and reduced, from 10 games to four. We waited – ever so anxiously – to see if the Cowboys would reach a long-term agreement with receiver Dez Bryant. After four months they finally did, beating the deadline by a only a few hours. And now we wait yet again, this time for a decision that doesn’t directly affect the team but will most certainly impact their 2015 record. After seven months – and counting – still no answer on whether or not Tom Brady will be playing for the Patriots when they visit the Cowboys Oct. 11 at AT&T Stadium. That marquee matchup will be Hardy’s first as a Cowboy. But will it be the first of the season for New England’s future Hall-of-Fame quarterback? The AFC Championship Game was played Jan. 18. Afterward came allegations by the Colts that the Patriots intentionally deflated footballs as to give Brady a better grip in cold weather. Independent investigator Ted Wells concluded and made public his report on May 6. Finding the Patriots cheated and that Brady was uncooperative in the investigation, NFL commissioner Roger Goodell suspended the quarterback four games and docked the team $1 million and two draft picks on May 11. Three days later the NFLPA appealed the suspension. And on June 23 Brady had his day in court, face-to-face with Goodell. Now, a month later, we’re still waiting for the biggest decision of the early NFL 2015 season. You’d think it wouldn’t take seven months for this kind of jurisprudence to run its course. I mean, Dallas is fixing potholes from the Winter snow faster than the NFL is working. Obviously it’s a huge decision for the Cowboys. If the suspension stands, on Oct. 11 they’ll face a man currently with zero starts, 27 passes and one touchdown to his name – Jimmy Garoppolo. If it’s reduced, they’ll welcome to Arlington for the first time a man with 53,000+ yards, almost 400 touchdowns, 10 Pro Bowls, two NFL MVPs, three Super Bowl MVPs, four Super Bowl rings and a bust awaiting in Canton – Tom Brady. Waiting is indeed the hardest part. But this one just might be worth it.